When fall starts creeping into winter, it’s time for lobster lovers to visit Maine’s coastal towns. Sure, the weather can get a little dicey (the average temperature in November and December hovers around 30-40 degrees Fahrenheit), but that’s what sweaters are for. Bundle up and head north because late October, November, and December is the end of lobster season. Summer is undeniably the most popular time for people to go to Maine. Therefore, that’s also when the most lobster are sold. Many of those summer lobsters recently molted, so their shells are softer. Those are tasty to eat, as well, but it’s hard to compete with the rich meat of hard shell lobster — most of which is harvested later in the year. There is, of course, one problem when visiting coastal Maine: the weather. This might go without saying, but Maine winters are rugged, so many lobster fishers keep their boats in the dock January through May. But before that happens, there’s a frenetic move to harvest as many lobsters as they can, which leads to the market being stuffed with end-of-season crustaceans. 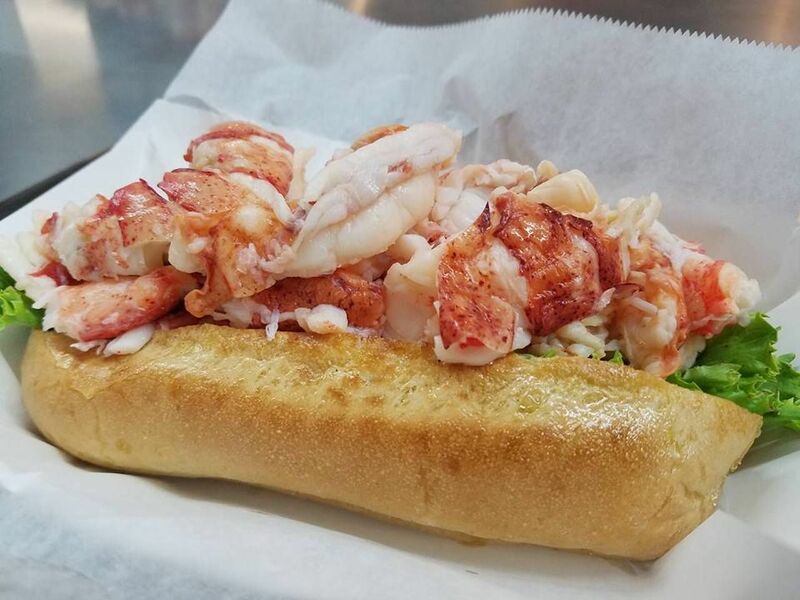 Whole lobster, tails, lobster rolls — you name it; there’s plenty of it. Autumn is, according to Sea Grant at the University of Maine, the peak season for lobster. Start planning your lobster trip to Maine before the season ends and the new year starts. Some of the more touristy places close for the season, but prices also drop. These are the best coastal areas to visit and eat lobster until you pass out. The first weekend trip to take is to three neighboring towns. Start at Wiscasset, a town of 3,500 people just 45 miles north of Portland. Its tagline is “The Prettiest Village in Maine,” but it’s also been called the less flattering “Worm Capital of the World” because of the bait industry there. It’s most modern claim to fame, however, is that it’s the home of one of the most famous lobster shacks, Red’s Eats. Just across the Damariscotta River are the twin villages of Damariscotta and Newcastle. This little trio of towns is far less packed with tourists in the fall, but still has so much great lobster to eat. The Damariscotta River Grill serves fresh-caught seafood, as does Wiscasset’s Sea Basket Restaurant, which is known for its lobster stew. Oxbow Brewing Co. in Newcastle uses lobster from its local seafood shop to make a lobster beer. Fisherman’s Catch Seafood Market has lobster and more to take home with you. Five towns — Kennebunk, Kennebunkport, Cape Porpoise, Goose Rocks, and Arundel — make up what’s referred to simply as “the Kennebunks.” They’re in the south of Maine, so it doesn’t get quite as cold, although “not quite as cold” for Maine is still pretty dang cold for many people. The historic districts of towns are filled with history and the occasional ghost story. If you scare easily, just know that the cure to any New England haunting is fresh lobster. Head to Federal Jack’s for beer made on site and lobster and other seafood served up with waterfront views. Fans of fine dining will feel right at home at The White Barn Restaurant in Kennebunk. Alisson’s in Kennebunkport has all the lobster you could ask for in a pub environment. Maine’s largest city has just over 66,000 people. It also happens to be one of the best beer cities in the country thanks to craft brewing stalwarts like Allagash Brewing Co. located right next to regional and beer-geek favorites like Bissell Brothers, Lone Pine Brewing, and an ever-growing number of others. The only thing in the town that comes close to rivaling Portland’s beer scene is its food scene. More often than not, the two collide into one delicious combo that’s worth the trip up to Maine every chance you get. 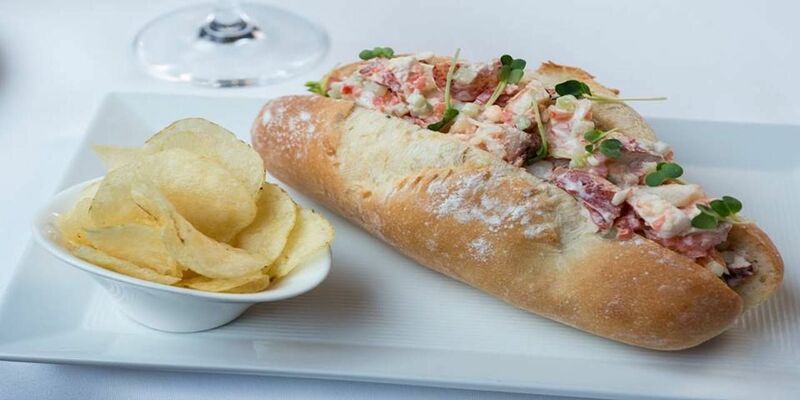 Eventide Oyster Co. has some of the most famous lobster rolls in town (as well as a long list of oysters). The price is up there, but the brown butter roll stuffed with a healthy portion of lobster — paired with a beer from Maine Beer Co. — is worth it. 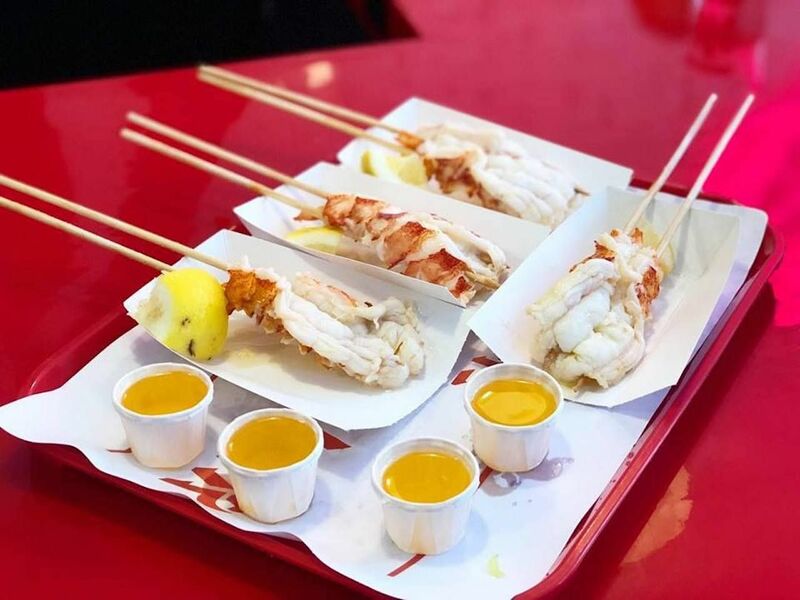 Highroller Lobster Co. serves its Maine lobster in fresh brioche buns, as well as in less traditional ways like on a stick (the “Lobby Pop”) and in a taco where the shell is a fried cheese crisp. You’ll find the locals and a place of pure happiness at Becky’s Diner on the wharf.